Cells are the building blocks of life. There are smaller particles within your body, but cells are the smallest unit that is alive. It is believed that the average human body contains about 100 trillion cells. (100,000,000,000,000 cells!) However, that’s only an estimate since the technology to accurately measure cell count does not exist–yet. To simplify discussions of cells, scientists often talk about groups of cells as functional units. These different groups are called levels of cellular organization. One cell is the basic level of cellular organization. Tissue is the second. Organs, organ systems and complete organisms are the levels of organization above tissue. and a complete organism is a group of organ systems. There are four main types of tissue found in animals. They are categorized by the roles they play. Connective tissue in the human body, is the biological duct tape holding the whole system together. Connective tissue gives shape to organs, stores/transports minerals and nutrients, provides protection and increases flexibility. These are just some of the roles of this tissue–the role of connective tissue varies depending on the nature of nearby structures. Let’s take a look at some of these roles in more depth. Adipose, or fat, tissue is an example of a connective tissue that facilitates the storage, absorption and disposal of nutrient, vitamins, minerals and other substances. Fat tissue can be found in a thin layer beneath the skin, surrounding internal organs and interwoven with other structures, such as bone marrow and breast tissue. Adipose tissue expands to store energy when excess food is consumed. Eating foods high in protein, carbohydrates and/or fat will facilitate the growth of adipose tissue. These energy deposits hold potential energy in the form of fat, waiting for nearby cells to get hungry. Then the adipose releases energy. Human beings develop adipose deposits in specific areas where a ready supply of energy is needed. Men and women have different areas of their body that require emergency energy, so each gender develops adipose differently. Women tend to store fat around the chest and hips, while men store fat around the abdomen. Have you ever scraped your knee and developed a scar? Scars, or cicatrices, are the visible sign that your connective tissue was hard at work. Your skin is your primary defense against infection. When your skin is injured, your body prevents further damage by sending cells to the wound to fight infection and fix the skin. Connective tissues play several roles in the process of wound healing. Platelets, a structure similar to cells, are carried by your blood to the wound. Platelets build up and form a temporary covering called a scab. Fibroblasts, the main component of connective tissue, begin collagen production. Collagen seals the skin beneath dried scabs. If a scab falls off too soon or a wound is particularly deep this collagen deposit will be visible as a scar! All the while, white blood cells, also carried by your blood, fight off infection by surrounding and digesting foreign matter—anything that doesn’t belong in your body. Bones, cartilage, tendons and ligaments provide structural support for your organ systems, enabling you to stand and move. 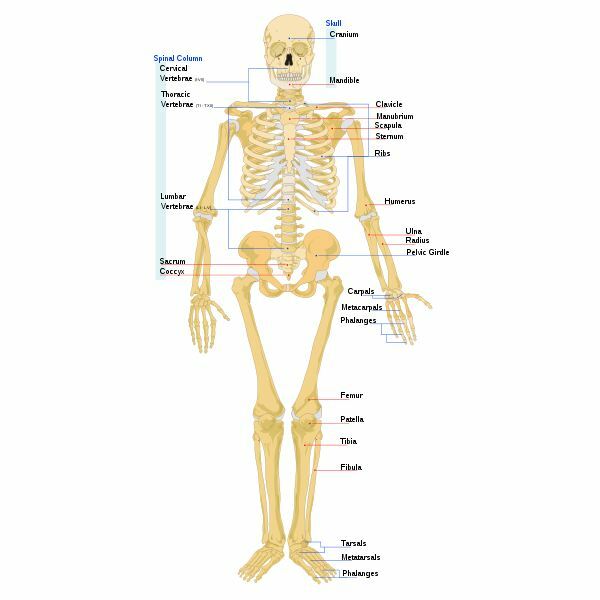 Bones are dense organs made from connective tissue in the human body. Bones are important in the human body, as they form a rigid frame called the skeleton which gives your body shape. Some bones also offer protection: vertebrae protect the spinal cord; the ribs guard the heart and lungs; the skull shields the brain. Cartilage is another dense connective tissue, more flexible than bone that serves many purposes. Cartilage fills the gaps between bones and serves as a cushion during movement. Your nose and ears have specialized cartilage-based structures that act like funnels, catching scents and sounds. Tendons are tough fibrous tissues, primarily made of collagen, that form connections between bones and muscle. Ligaments, which are similar to tendons in composition, connect bone to bone. Tendons and ligaments are capable of withstanding tension and returning to a stable shape, like a rubber band. These supportive structures not only “tape" tissue together, they limit your range of movement preventing you from hyperextending — stretching muscles too far. Now we've looked at the role of connective tissue in the human body, what about the other main tissue types? Muscle tissue is the tissue responsible for movement. These tissues contract and stretch to move substances internally and permit locomotion. Your heart is one of the strongest muscles, moving 2,500 gallons of blood through your body every day. Nervous tissue is found in the central nervous system and peripheral nervous system. Nervous tissue facilitates the transfer of electrical impulses between organs. This allows you to feel, think and move. Epithelial tissues cover organs. One example of a structure that contains epithelial tissue is the epidermis — your skin. The epithelial tissue in your skin is hard at work even as you're reading this, absorbing necessary vitamins and nutrients, expelling waste and providing protection for your organs. To look at the organs in more detail, why not consult our list of organs in the human body. 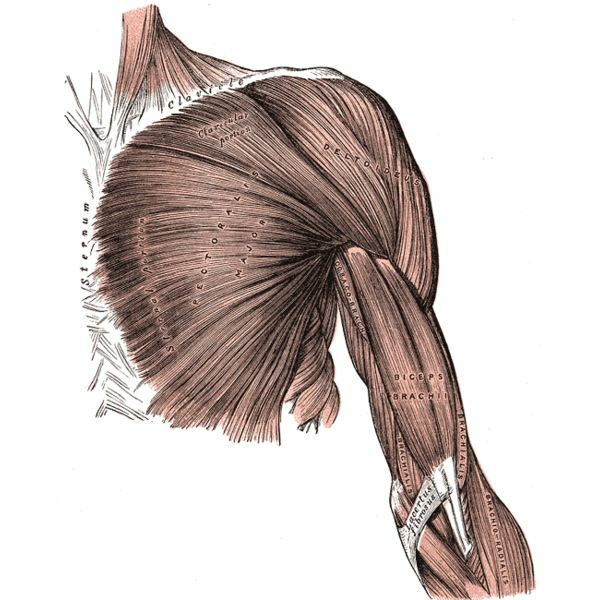 "Arm Muscle Front Superficial" uploaded by PNGbot, public domain. Wikimedia Commons. "Elbow Skin" by SScare. Wikimedia Commons. 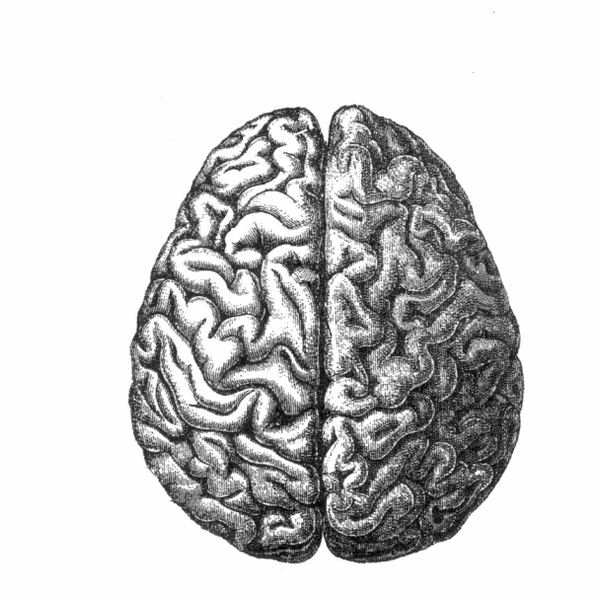 "Human Brain" uploaded by M0z4rt, public domain. Wikimedia Commons. "Human Skeleton Front" by LadyofHats Mariana Ruiz Villarreal, public domain. Wikimedia Commons. "Bleeding Finger" by Crystl. Wikimedia Commons.